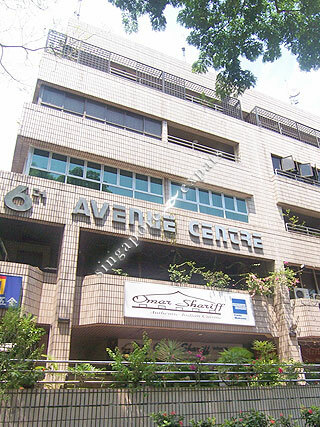 SIXTH AVENUE CENTRE is located at 805 BUKIT TIMAH ROAD in district 10 (Bukit Timah, Grange, Holland) of Singapore. SIXTH AVENUE CENTRE is a Freehold Condo development consisting of 18 units. SIXTH AVENUE CENTRE is completed / TOP in 1985 (estimated), developed by TAT LEE PROPERTY DEVELOPMENT PTE LTD.
Educational institutions like BLUE HOUSE INTERNATIONAL SCHOOL, HWA CHONG INTERNATIONAL SCHOOL, THE SWISS SCHOOL SINGAPORE, RAFFLES GIRLS' PRIMARY SCHOOL, METHODIST GIRLS' SCHOOL (PRIMARY) and NANYANG PRIMARY SCHOOL are near to SIXTH AVENUE CENTRE. SIXTH AVENUE CENTRE is accessible via nearby SIXTH AVENUE, KING ALBERT PARK and TAN KAH KEE MRT Stations.